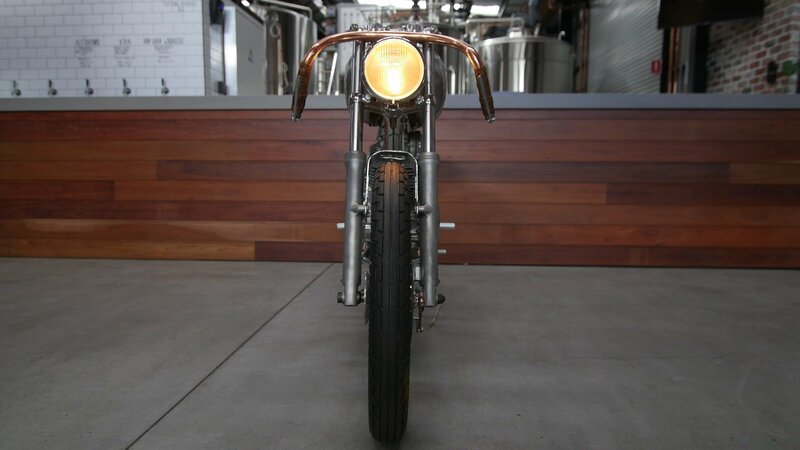 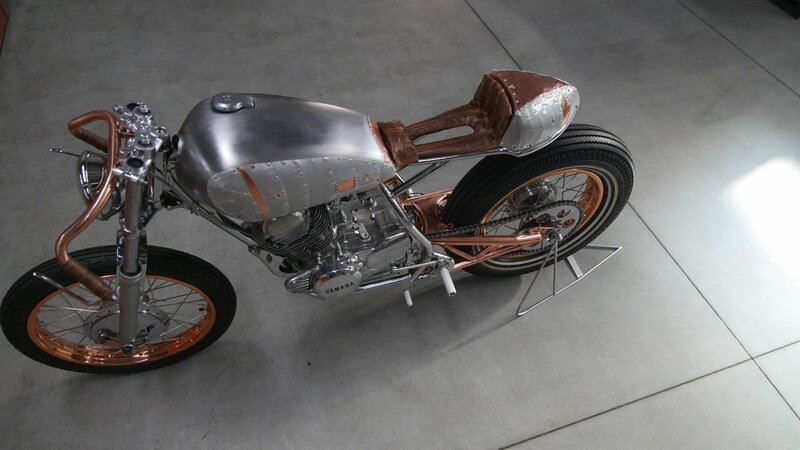 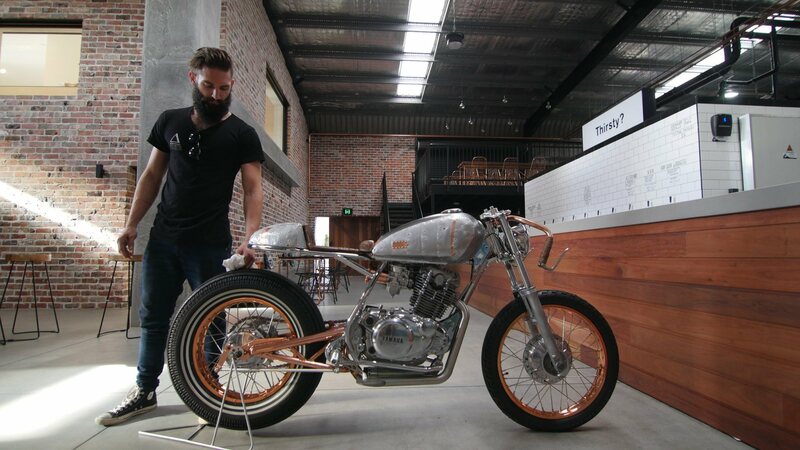 Based on a 1980 Yamaha SR250, built for Cocolea furniture and Photographed at Balter Brewery, Gold Coast. 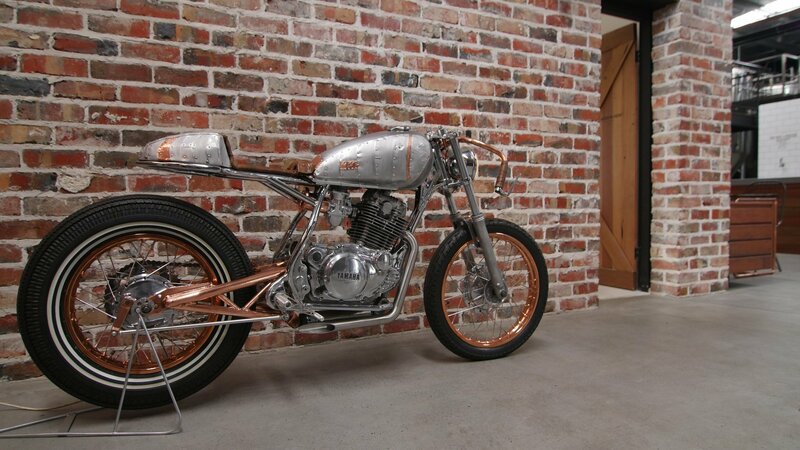 This SR250 came to me in boxes with a half hacked frame and a lot of missing parts. 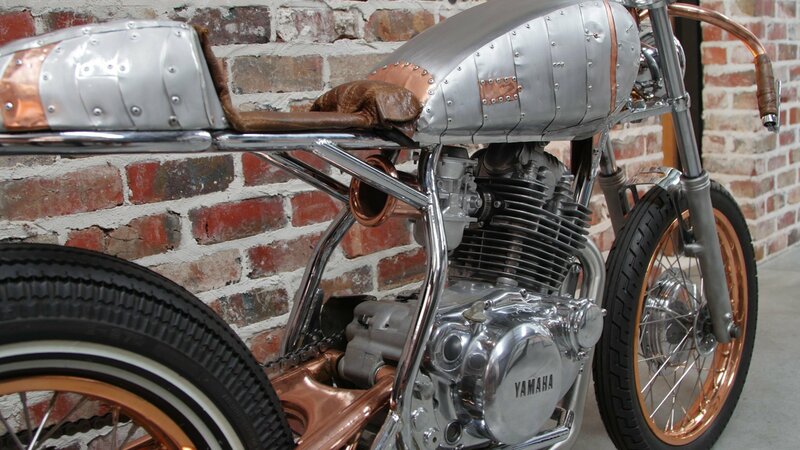 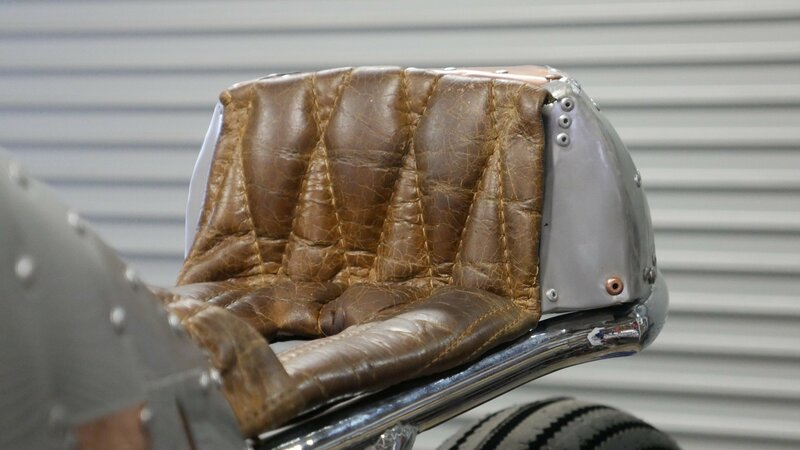 When I was contacted to build a show piece with some outlandish design ideas by Melbourne's Cocolea Furniture I figured the Yamaha would fit the bill perfectly. 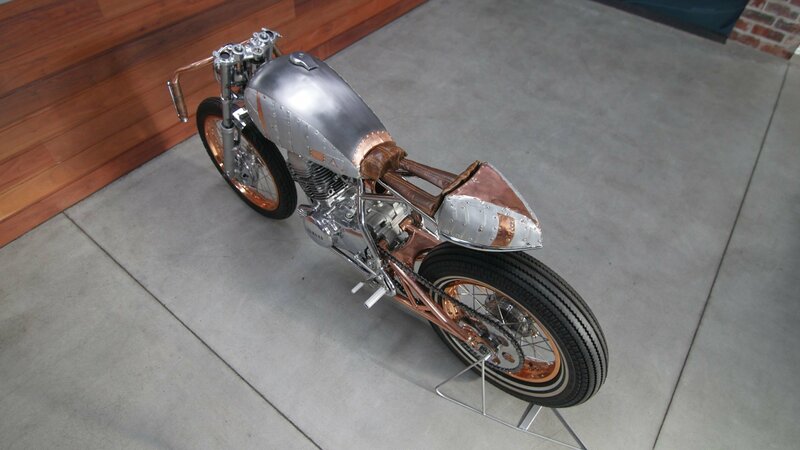 The constraints on the build were no black, polished metal and a sleek racer look. 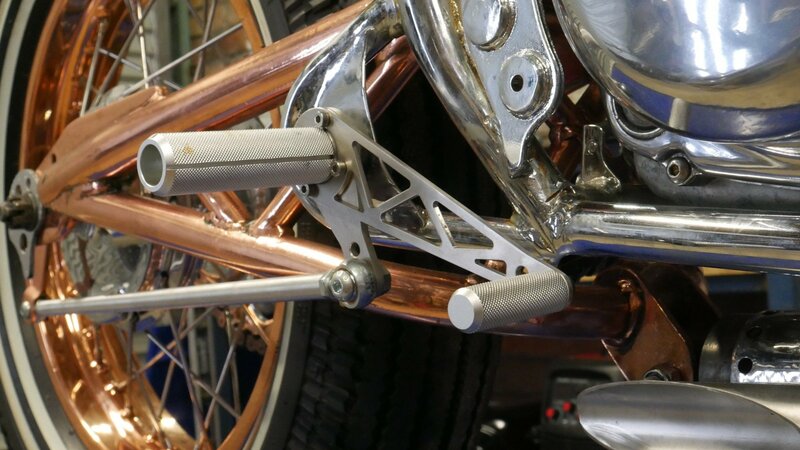 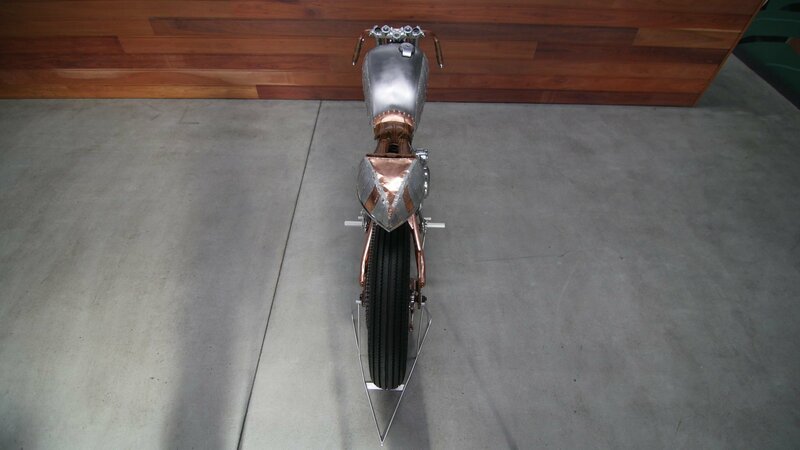 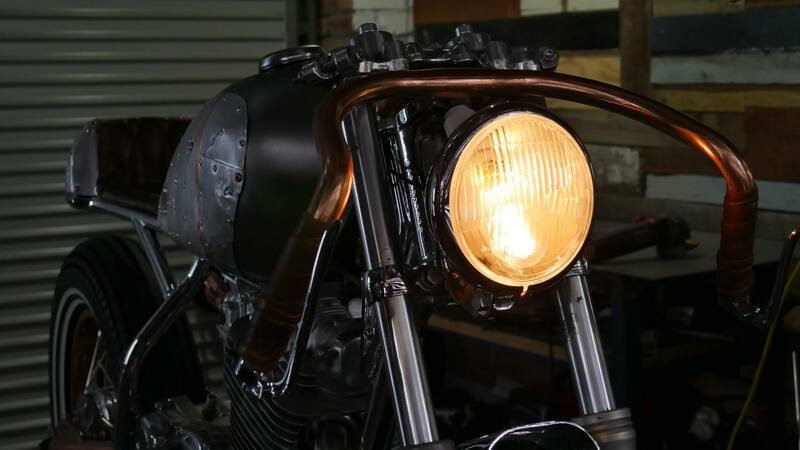 The custom work featured on this bike includes a lot of polished, chromed and copper coated components, re-laced rims and some Shinko tyres that really gave it that racer stance.